No software to install. Easy-to-Use, Cloud-Based Email and Website security services protects against threats before they hit your business. Protect your Domain with ID Protection against countless threats and annoyances. Use Domain ID Protection to protect your privacy from spammers, marketing firms and online fraudsters. Offering the most comprehensive protection to combat e-mail threats with no software to install or any modifications on your end. BEZA.NET eMail Security Services (eSS) offers enterprise grade e-mail security to combat against the growing threat to e-mail communication. 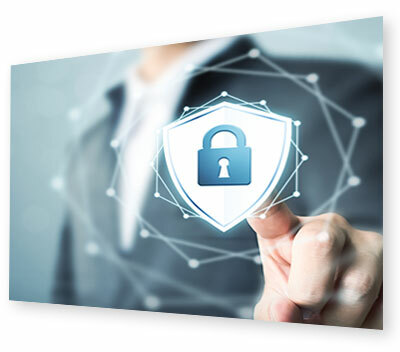 SSL Certificates are a simple and cost-effective way to protect private information – passwords, credit card numbers – submitted to your website. Customers will buy with confidence, knowing the information they enter on any secured page is protected. BEZA Website Security is a reverse proxy, meaning that we cache our clients’ websites on our servers and then offload some of their traffic to those same caches. This reduces the burden placed on our clients’ servers, thus ensuring that each of their visitors can receive the user experience that our clients intended.